ABB inverter supply, install, commission, repair, service and hire drives. ABB ACS580 Documents. The ABB ACS580 inverter is a general purpose drive available in kW sizes from 0.75kW to 500kW. The ACS580 is part of ABB’s all-compatible drives portfolio. The drive’s built-in features and compact design provide effortless energy efficiency for a wide range of applications. On this page we give you access to the official ABB ACS580 documents including the catalogue, the firmware manual, flyer and hardware manual. The ACS580 is an all-compatible ABB general purpose drive, with offering of wall-mounted drives and drive modules for cabinet installations. It turns complicated to simple to control processes efficiently. The drive controls a wide range of applications in different industries, and yet it requires very little setting up or commissioning. The control panel’s primary settings menu with assistants provide you a smart and quick way to commission the drive and get it into action. All the essential features are built-in as standard, which reduces the need for additional hardware and simplifies drive selection. The drive is ready to control pumps, fans, conveyors, mixers and many other variable and constant torque applications. You can download the full ABB ACS580 catalogue by clicking here. The ABB ACS580 is an all-compatible ABB general purpose drive, with offering of wall-mounted drives, drive modules for cabinet installations and cabinet-built drives. ACS580 is designed to control a wide range of variable and basic constant torque applications such as pumps, fans, conveyors and mixers in a broad range of industries. The drive is equipped with built-in features that simplify ordering and delivery, and reduces commissioning costs, since everything is provided in a single, compact package. You can view and download the ABB ACS580 Flyer by clicking here. 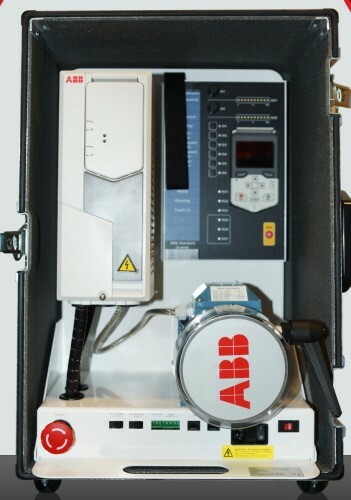 The ABB ACS580 manual provides information needed for designing, commissioning, or operating the drive system. You can view and download the ABB ACS580 Firmware Manual by clicking here. The ABB ACS580 Hardware Manual covers all aspects of installation, including safety instructions, mechanical installation and electrical installation. You can download the full ABB ACS580 Hardware Manual by clicking here.